We understand that our customers (and in turn your customers) want the best eggs and the best fresh egg products, and that’s why, at Sunny Queen, we are proud of our reputation for delivering quality products across our range of shell eggs (for over three farming generations), ingredients and meal solutions. 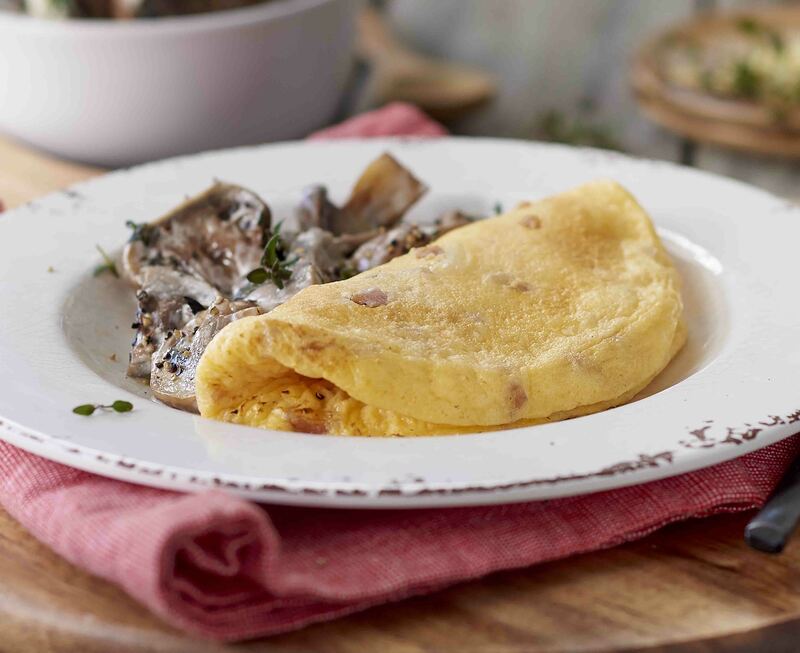 In case you were wondering, our Meal Solutions range is made up of innovative ‘heat and ready to serve’ sumptuous products including Omelettes, Gourmet Omelettes, Patties, Poached Eggs, Egg Bakes and Breggie Bakes, and are available in a range of delicious varieties. The products in our Meal Solutions range are made with our fresh farm eggs, that have been pasteurised, to give our customers extra peace of mind, allowing you to take comfort while enhancing your menu, maximising your productivity and efficiencies and delivering exceptional taste. Working to a budget but need quality? Contact us today and ask one of our representatives how we can help improve the efficiency of your kitchen. It’s easy..
We understand the importance of providing a consistent quality product every time. Our restaurant and cafe customers have seen the benefits of using our products in their kitchen – with reduced labour costs, consistent quality, and no mess or fuss! The Sunny Queen Meal Solutions product range will give you the time you need to spend perfecting a dish. Whatever your catering needs are, rest assured that our products will help you minimise costs and maximise operational efficiencies. Our products have the versatility to be cooked in a variety of ways, from a Burlodge system to a combi oven or microwave. All Sunny Queen Meal Solutions products are made from pasteurised eggs from our farms, or fully cooked and HACCP approved. See why dietitians love Meal Solutions for busy catering service. 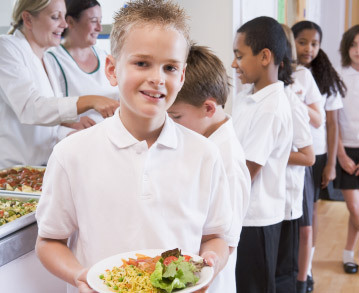 We understand the importance to schools and the wider community in providing students with meals that will give them the essential nutrients their growing bodies need. Our teams are working with schools to meet their nutritional standards and provide cost effective and tasty egg based options for school lunch menus. See why dietitians love Meal Solutions for large-scale kitchens. 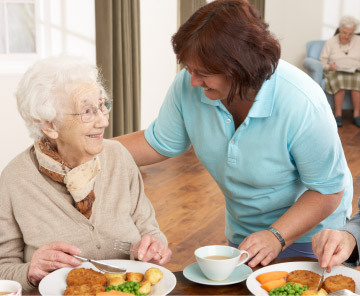 As nutritious as eggs are, there can be risks associated with serving eggs in a hospital and aged care facility. We work closely with many major hospitals located throughout Australia to provide egg products that deliver on nutrition as well as safety. Our innovative Meal Solutions are now catering to patients’ needs as well as hospital health and safety requirements. The benefits of using Sunny Queen products include increasing operational efficiencies and adding protein to the menu. 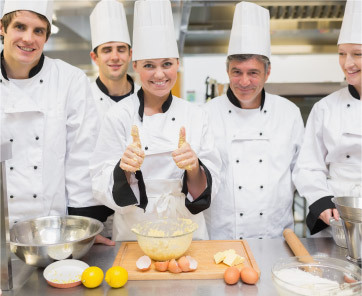 See why dietitians love Meal Solutions for health care kitchens. *Selected products are Healthy Kids Approved. The feedback from our chefs has been extremely positive. It is always nice to have a quality product that both staff and residents are happy with. Southern Cross Care (SA) Inc.
We have been using Sunny Queen Omelettes and Scrambled Egg Mix and have found them well received by clients and staff. The product is consistent in quality and is economical to use because of the individual wrapping which leads to zero waste. The Sunny Queen Meal Solutions range has fundamentally saved us time, which is crucial in a busy environment like ours where we like to put out great quality food, fast to ensure we’re providing our customers with a really great dining experience. The products are versatile and our customers have come to love them because they’re delicious and, for us, they come across as home-made meals. We first saw the omelettes at a conference in Queensland and couldn’t wait to get set up as a distributor for Sunny Queen. We have been so impressed by the range of omelettes that are available that we offer the omelettes as samples at all of our promotional presentations, even our staff eat them for lunch! The product is so quick and convenient and makes a great addition as a meal or snack option on any menu. Eliminating raw eggs has helped save time and labour for our chefs meaning we can work on delivering a faster and more efficient service. It’s a great help to have pre-prepared egg meals, which are not only delicious and convenient, but ensures that my staff and I are providing customers with both safe and satisfying meals. You know the food is great when it disappears from the bain-marie! That’s why we use Sunny Queen Meal Solutions – they taste great and meet our high standards of food safety and quality control. The products also add variety, which means we can have a vegetarian option with limited effort.